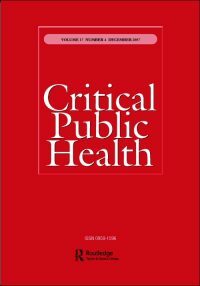 While enormous strides have been made in the representation of women in clinical trials, the percentage of women enrolling in Phase I trials still remains low, which both raises public health concerns about the safety of new drugs and social justice concerns regarding their inclusion in research. As part of a longitudinal study of healthy volunteers in the United States, our inquiry aimed to examine impediments to women enrolling in Phase I trials as well as their experiences participating in these studies at residential research clinics. We analyzed 111 semi-structured interviews conducted with 47 women who had enrolled in at least one Phase I trial. Our study indicates that women face discrimination during all stages of their participation in Phase I trials from their ability to qualify for studies, the treatment they receive in the clinic facilities, and a lack of social support. Specifically, we found that (1) study designs disadvantage participants of childbearing potential, (2) women feel vulnerable in the clinic space when outnumbered by men, and (3) heterosexual women are often discouraged from participation by their husbands or significant others. Placing these findings within the scholarly literature on barriers to women’s clinical trial participation, we argue that diverse strategies attending both to physiological and social factors are needed to combat inequalities in U.S. Phase I trial participation.